May is National Deck Safety Month, so I'm going to start off this month by writing about the most common cause of deck collapses - improper attachment to a building. Most decks are supported on one side by the building, and on the opposite side by the earth. 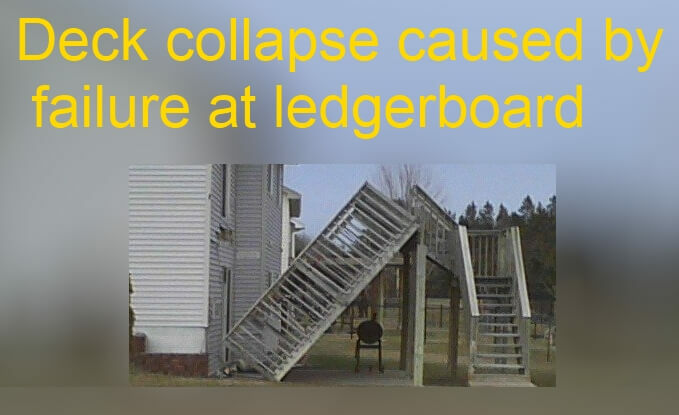 The photo below shows a deck collapse that happened here in Minnesota, and this is exactly how most decks collapse. The cause of collapse is quite obvious - it wasn't attached properly. Is your deck properly attached to the building? It's not always possible to know for sure, but today I'll discuss a few different ways of attaching a deck to a building. 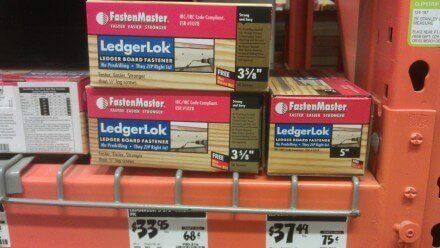 The piece of wood that connects a deck to a building is called the ledger, or ledger board. I'll be using this term repeatedly. 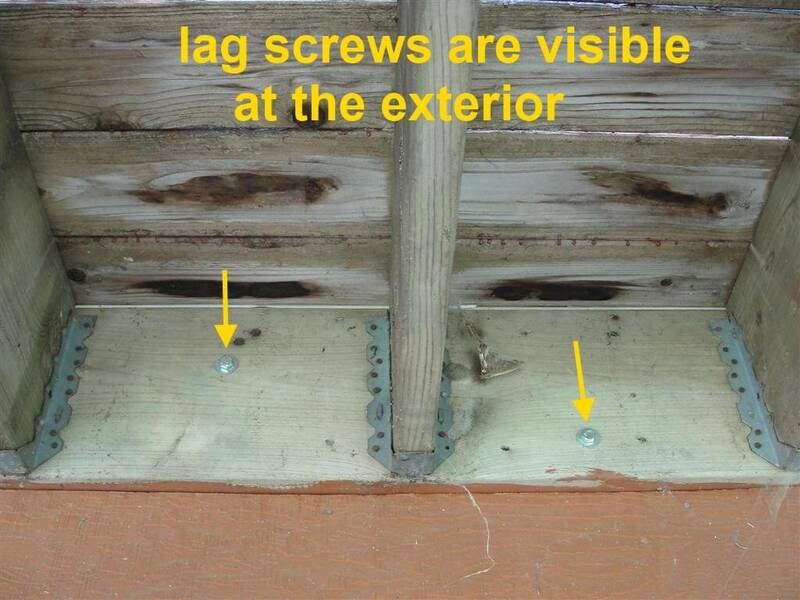 Traditionally, lag screws have been the most common method of attaching decks to buildings. To properly attach a deck ledger using 1/2" lag screws, 5/16" holes need to be pre-drilled through the ledger and rim joist. After that, a 1/2" hole should be drilled through the ledger only. For specific spacing and installation instructions, you can turn to page 12 of the Prescriptive Residential Wood Deck Construction Guide. There's no way of knowing if all of these steps were followed just by looking at a deck, but if lag screws are visible, you can feel a little better about the deck attachment to the building. One problem that I occasionally find with lag screws is that they're not attached to anything substantial behind the ledger. 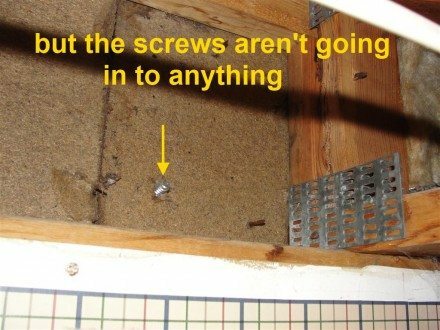 When a home is constructed with floor trusses and there is no rim joist for the deck to attach to, it's important to figure out what the screws are going in to. In the photos below, the lag screws at this Eden Prairie townhouse were only attached to the fiberboard wall sheathing, which is basically worthless. You wouldn't want to put too many people on that deck. 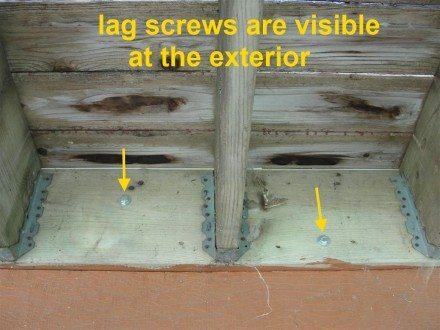 Lag screws are fairly inexpensive, but they take special steps to install correctly. 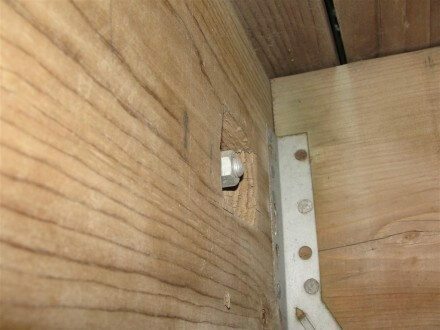 Because of the tedious process involved in drilling several pilot holes in the wood to use lag screws, there are a few products available that are designed for the specific purpose of attaching a deck ledger to a building. One such fastener is the FastenMaster LedgerLok®, which is pictured above. Simpson Strong-Tie makes a similar fastener, called the Strong-Drive® SDS Screw. These fasteners are designed to be installed without any pilot holes, and they already come with a washer attached to each head. While these fasteners may cost a little more, they're fast and easy to install, and they're code approved to be used in place of 1/2" lag screws. 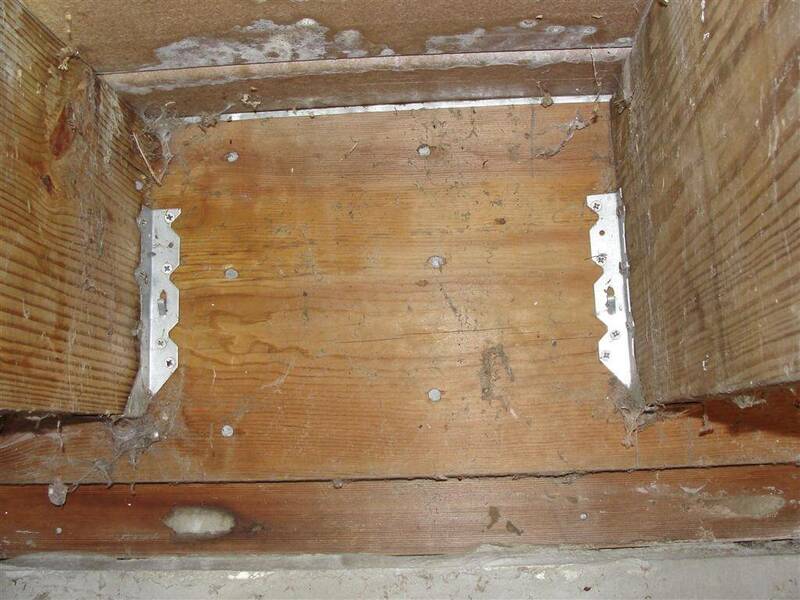 Through-bolts can be used to attach a ledger to the house when the interior of the rim joist is accessible. This is typically done using carriage bolts, pictured above. When through-bolts are used, you'll either see the head of the bolt or the end of the bolt at the ledger. Lag bolts work in a similar manner. 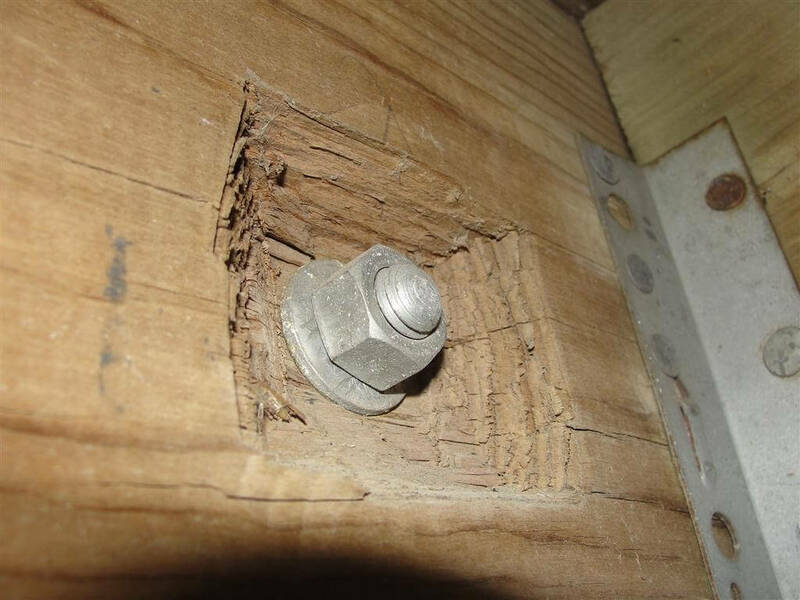 All things being equal, a through bolt makes for the strongest connection per fastener. Without all things being equal, there are certainly ways of installing through-bolts improperly. 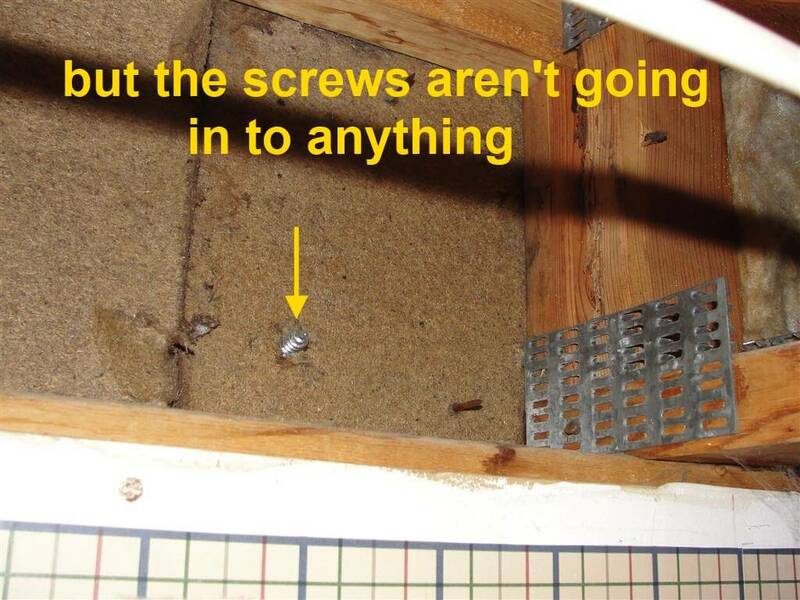 In the examples below, taken at a townhouse in Edina, you can see the end of the bolt where a washer and nut were fastened. The problem with this installation is that someone didn't have long enough bolts, so they had to chisel out a bunch of holes in the ledger to sink the washers and nuts in to. This is probably the least common method of deck attachment because it takes more time, and requires more running in and out of the building. Nails are not an acceptable way of attaching a ledger to the building, because they can pull out. I don't have any statistics to quote, but this is probably the most common cause of deck collapses. 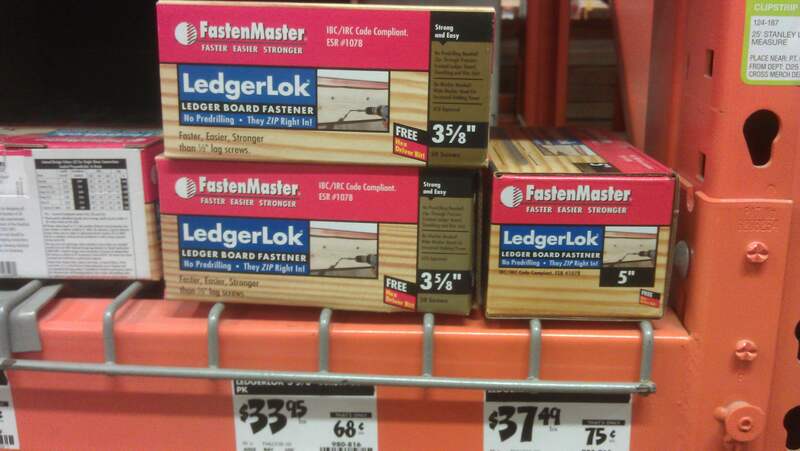 If you look at a deck ledger and all you can see are nails holding it in place, it should be addressed. This is one of the most common deck problems that home inspectors find, and the repair is usually an easy fix.